The Association of Vineyard Churches was founded by John Wimber in 1982, and has to be one of the fastest growing church-planting movements in the world, considering their very small beginnings were a mere twenty five or so years ago.. The headquarters for the Association of Vineyard Churches is located in Stafford, TX. Each local congregation is autonomous and, according to their web site “there are more than 1,500 Vineyard churches worldwide, 550+ in the US, with 8 regions actively planting churches across the country. Vineyard worship songs, documented by Vineyard Music, have helped thousands of churches experience intimacy with God” [a]. They also boast a publishing house [b] and a music production company [c]. They say their team of church plant coordinators (CPCs), who are also local church pastors, identify, assess, train, deploy and coach church planters in every region of the country.” The function of their Church Planting Task Force “is to release healthy, fully functioning churches which in turn can plant healthy reproducing churches.” [d] All of which begs the question.. What are the Vineyard churches about? What doctrine do they espouse? What are their beliefs? It is written, A good tree cannot produce evil fruit, nor can an evil tree produce good fruit. 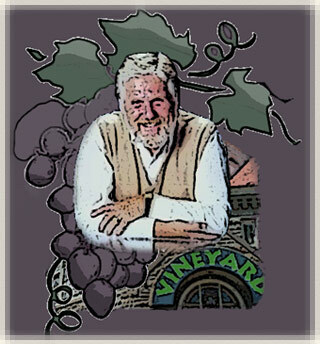 As The Vineyard USA site says ”John Wimber was a founding leader of the Vineyard. His influence profoundly shaped the theology and practice of Vineyard churches from their earliest days until his death in November 1997”. Therefore an accurate evaluation of the Vineyard churches, one of the main roots of the Toronto Blessing Phenomena, has to begin with John Wimber. One man, with little or no Biblical discernment, was almost single handedly responsible for the spread of one of the most dangerous movements in the church today... The Latter Rain. This small movement that began in Canada, eventually became the cornerstone for various offshoots, the most prominent of which are (or were) Joel’s Army, First-Fruits, Identity, Manifest Sons of God, Restoration, Reconstruction, Kingdom Message, Elijah Company, Overcomers, etc. Do the statements on the vineyard site that “We are uniquely poised and prepared to bless Muslims” and “When we think of a Vineyard approach to blessing Muslims we can't help but picture Vineyardites laying hands on Muslims all over the world.... Praying for healing, deliverance, and blessing them in Jesus name” simply convey very noble sentiments and lofty aspirations, or do these “blessings”, that we seem to be so free with, have any basis in Biblical principles. Examining the document known as ”A Common Word” issued by Muslim leaders, and the Christian response... including Yale’s Reconciliation Program and Interfaith Conference, which boasted some very surprising participants. Do Christians and Muslims Worship the Same God? Can Muslims and Christians Be Friends? Can People Be Fooled? And a Note on some Muslim “Moderates”. Both the articles on the page John Wimber and The Vineyard mention John Wimber’s fascination with the Kansas City Prophets, which resulted in him calling on Vineyard pastors to receive their ministry. However this is just one piece of the story which, in it’s entirety, has had serious repercussions in the Christian world. Here is how the actions of one man, who exercised so little Biblical discernment, helped birth one of the most dangerous movements in the church… And how he helped the Latter Rain, a small movement that began in Canada, to eventually become what it did... the cornerstone for various offshoots, the most prominent of which are (or were) Joel’s Army, First-Fruits, Identity, Manifest Sons of God, Restoration, Reconstruction, Kingdom Message, Elijah Company, Overcomers, etc. So who are all these groups and what do they believe? The initial influence of these groups was largely confined to Pentecostal and Charismatic churches but, through various counterfeit revivals, have spread their leaven far into the evangelical world, finding wide acceptance among members of a different Christian denominations. Although the teachings of the assorted groups diverge from each other in details, they are yet similar enough to be classified under the broad banner of Dominion or Kingdom Theology, sharing a post-millennial vision in which the kingdom of God will be established on earth through political and (in some cases) even military means. Quite obviously, it only makes sense for those that subscribe to this creed to attempt to change society, although not all adherents to Kingdom Now (Dominion) theology are in agreement on the methods to accomplish that end. While there is however concurrence on the major principle - that the Church has dominion over the “forces of evil”, and that every enemy of Christ must be subdued before He can return as King, the more moderate factions advocate political control, social action and the revising of laws, while others are far more militant, willing to use force if necessary. In an unprecedented display of delusions of grandeur, the dominionist leadership believes they, the Manifest Sons Of God, are the last-day apostles and prophets… that they are a company of overcomers who when the mantle of Elijah falls on them, will be transfigured just as Jesus was transfigured. This will not only make them and their cohorts greater than Elijah, Elisha and all the prophets of the Old Testament, but their glory will actually exceed that of Jesus on the Mount. They also believe that they hold the key to Jesus’ return. Although many Christians caught up in the Restoration/Dominion movement would deny any involvement with Latter Rain teachings (some of them have probably never even heard of the Movement), the truth is that Kingdom Theology, in all it’s forms, originated with the Latter Rain Movement which was born in 1948 in North Battleford, Saskatchewan in Canada when several leaders of Sharon Orphanage were inspired to look for a deeper dimension of Christianity after attending a meeting held by William Branham. They fasted and prayed from many weeks and believed that God answered them when, on February 12, 1948, the Holy Spirit supposedly fell with “great power”. The movement was so called because it was believed that the outpouring of the Holy Spirit on Pentecost was the "former rain" that established the Church, but the then current move of the Spirit (speaking in tongues and the Baptism of the Holy Spirit etc.) was the "latter rain" to prepare her for the last “great harvest” at the end of the age, which would sweep millions into the Church. After which, the Church's work being complete, Jesus Christ would return. Although it’s influence gradually waned, perhaps in part because it was thrown out of the Assemblies of God church in the 1940's for heresy, the deception never really died, but went underground to await the day when sound doctrine would be of little concern to the vast majority of church leadership. Then, once again, it raised it’s ugly head. A man called Ern Baxter travelled with William Branham many years (from 1947 to about 1953) often doing all of the speaking for him. Also, Baxter's personal secretary, George Warnock, was not only one of the North Battleford brethren, but wrote the Feast of Tabernacles, in 1951, during his four year stint at Sharon Bible College in the capacity of a "deacon". The book, in which Warnock laid out a specific doctrine for the Latter Rain Movement, became very very influential not only for its view of the feasts but for its approach to the Scriptures. The “Kansas City Prophets” were born… called so because many of their leaders were from the area. However in January of 1990, a Kansas City pastor named Ernie Gruen (he passed away in June 2009) published a report exposing some of the teachings and practices at Bickle's church [Read]. This report was distributed nationwide and could very well have spelled the end of the movement. However the death knell was averted by a series of events involving Vineyard founder John Wimber..
Toward the mid to late 1980's, Wimber became enamored by the "The Kansas City Prophets", or now known as the Kansas City Fellowship. Mile Bickle in fact mentions that he “introduced Paul Cain, Bob Jones and the other prophetic ministers to the Vineyard” and was in turn introduced to Richard Foster by John Wimber. At an August 1989 conference in Denver, Colorado, Wimber called on Vineyard pastors to receive the KCP, thus very effectively putting a band aid over the whole affair brought up by pastor Ermine Gruen. The Latter Rain had found not only a very comfortable home in the Vineyard church, but a huge and influential platform from which to spread their canker. And how big has this movement become? An article on the Talk to Action web site doesn’t seem to be too far off base (if at all) when they say..
For detailed information on Kingdom or Dominion Theology go to Dominion Theology... The Stench And Foul Smell Of Joel’s Army which is in sixteen sections and covers ever aspect of this very dangerous movement that I could think of. Life On Wings.. A Tribute to Dr. Ern Baxter.